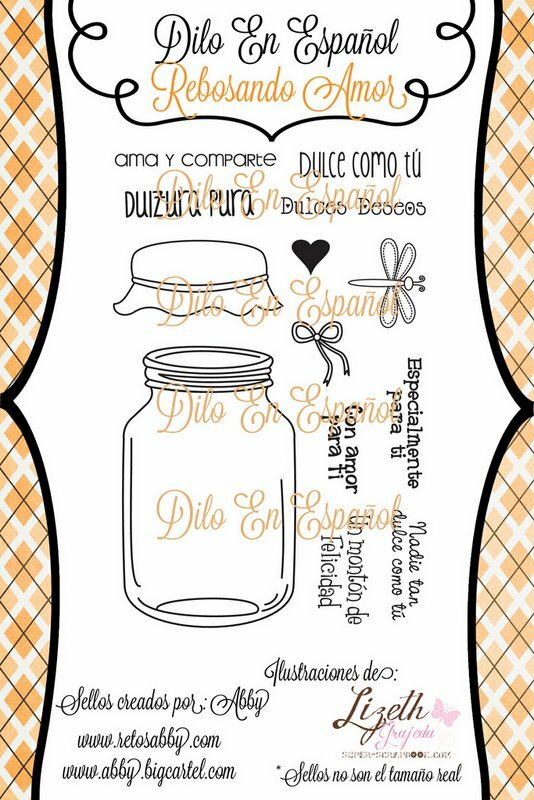 I had fun stamping and cutting this cute jar. I stamped using Memento tuxedo ink so that I can color with Copics. 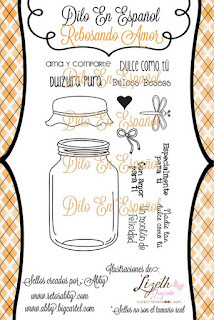 I used a bit of greys on jar and lid. The lid I stamped a second time on pink cardstock, colore a bit with Copics and adhered it using 3D adhesive foam. I colored with Copic markers one of the embossed flowers and added some glass beads to the center. 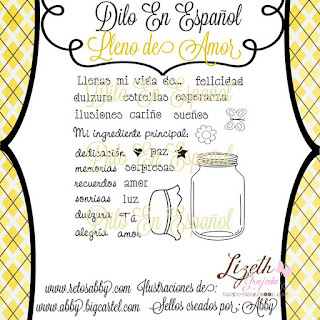 The super cute jar is from the Rebosando Amor and both sentiments are from the Lleno de Amor set. You can find both sets for sale now!